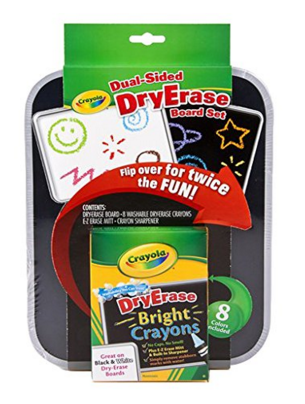 Crayola Dual-Sided Dry Erase Board Just $6.88 Down From $15! You are here: Home / Great Deals / Amazon Deals / Crayola Dual-Sided Dry Erase Board Just $6.88 Down From $15! Here’s a nice Amazon Add-On item. Crayola Dual-Sided Dry Erase Board is just $6.88 down from $15! Get yours now while it lasts! Washable crayon formula easily comes off skin or clothing.